It’s been a very long time since I have blogged….but I am back! My world of art and calligraphy has been a very busy one. CNE has just wrapped up here in Toronto over the long labour day weekend, on Monday, September 5th, 2016, so I thought I would share with you the work I did in the CNE book. It is truly an honour for me to be a part of this book, which will be around long after I am not. Here are the pictures in sequence while I was creating the page. As you can see, the fully created page comes alive at the end. I have news to share. I have moved my studio location to the beautiful High Park area here in Toronto. It`s now a very warm studio with plenty of character: wooden floors, fireplace, and windows that provide a great view of trees! 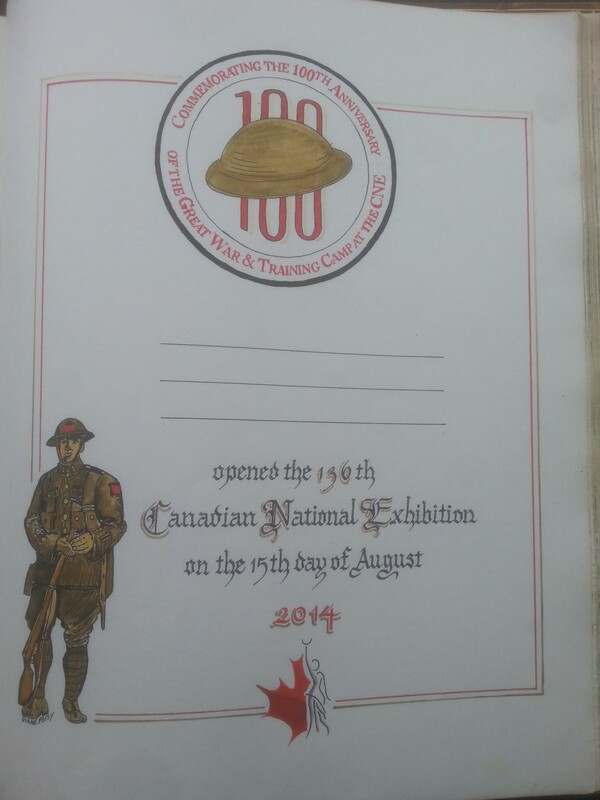 Thank you for your patience on waiting for the visuals of what I did inside this year`s CNE old archival book. Here, you will see the progression as the page was created below. 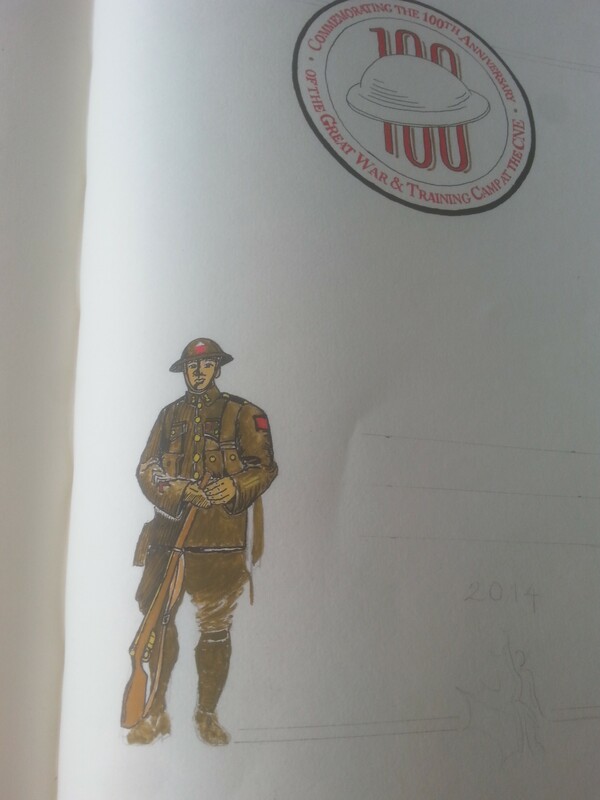 The beginning of the page created into the CNE book for 2015. Book inscriptions can be quite intense to do, as there is no room for error. I have grown accustom to doing these, and now I am quite comfortable inscribing into it along with the added art. I remember, the first one I did, I think I was holding my breath for each step of the way. 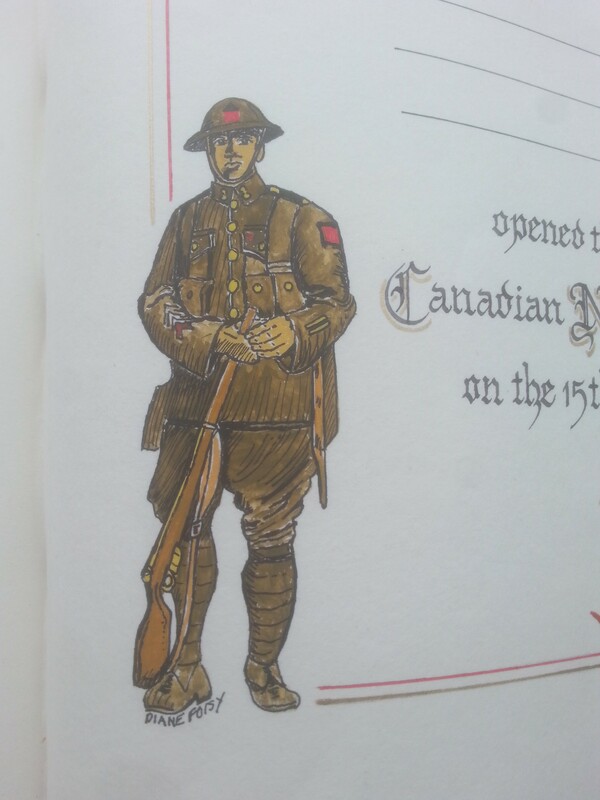 This particular book is a very special archival book that is over 100 years old. It is a beautiful collection of treasured calligraphy and art all done by hand by many artists of the past. Let me know if you have a book that you would like inscribed. 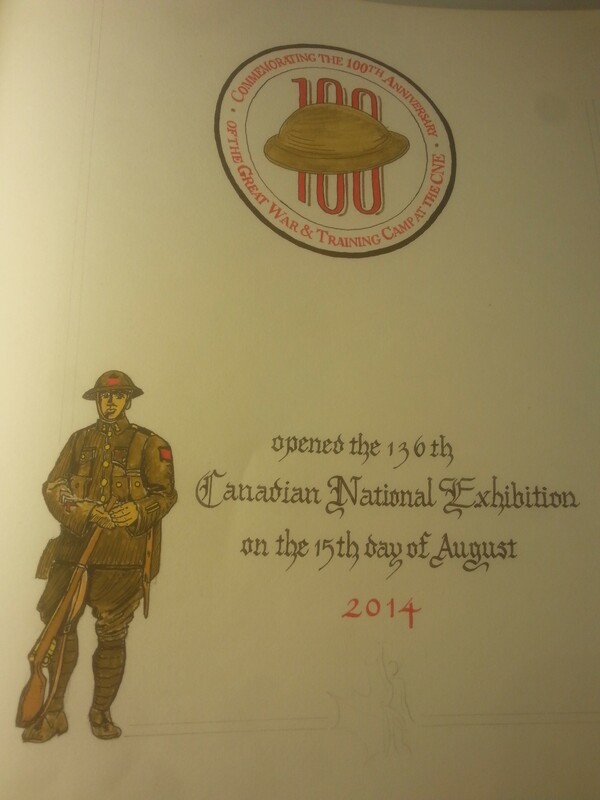 This was done last year, but I will post what I am currently working on for this year’s CNE opening! Check it out in August, 2015. 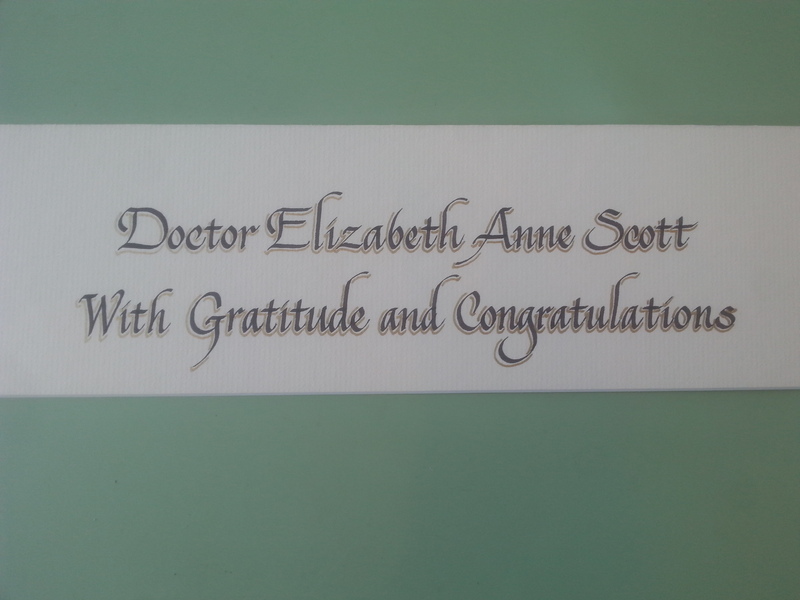 This piece shows a document to thank a Doctor along with an inscribed mat shadowed in gold shown here in stages. First picture shows a close up of the inscribed mat. Second picture shows the full mat and where the inscription was placed. 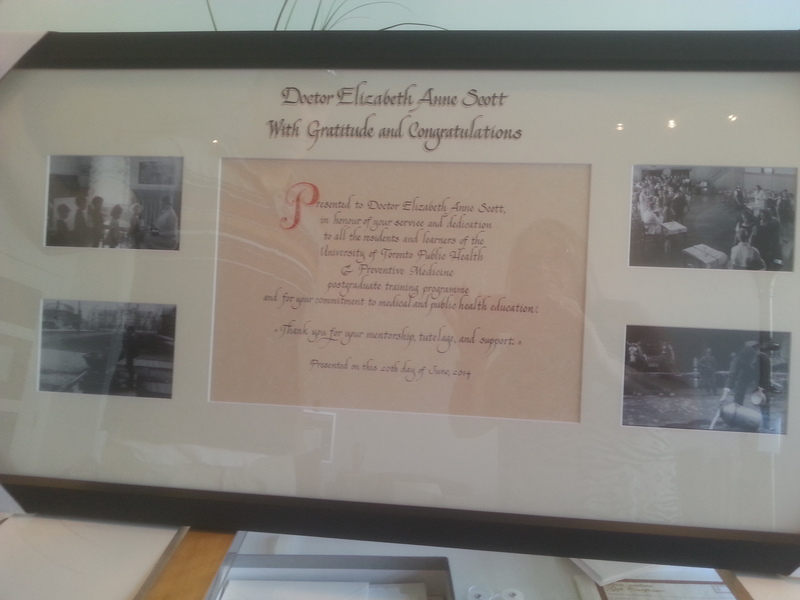 Third picture shows the calligraphy done and framed along with the pictures the client provided. 2014 sure has stated that hand done calligraphy is in demand, NO DOUBT ABOUT IT!! I have been servicing many private commissioned pieces for poems, vows, songs, family trees to name a few different projects. Wedding industry is very busy and then there are the corporate events. I have done many on-location gigs, where I have serviced Louis Vuitton, Holt Renfrew, Mont Blanc, servicing their clients at private functions with calligraphy right on the spot. Chanel and The Bay has had me busy with adding my calligraphy for invitations or place seating cards for their VIP events. I am currently working on a new look for my website. I will let you know when that is live on the net. Enjoy the rest of your summer everyone. Well 2013 closed to be a very busy year and rolled right into a fast start into 2014! 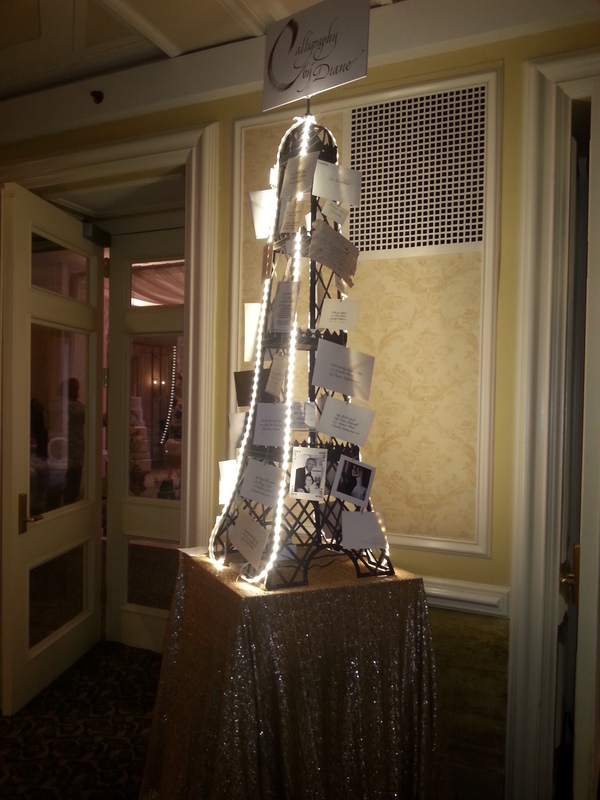 I was privileged to be a participant of The WedLuxe Wedding Show on Sunday, January 5th, 2014 at the beautiful historical venue of The Royal York Hotel, downtown Toronto, Ontario, Canada. Thank you to those who came by to see me and arranged for your bridal consultation. 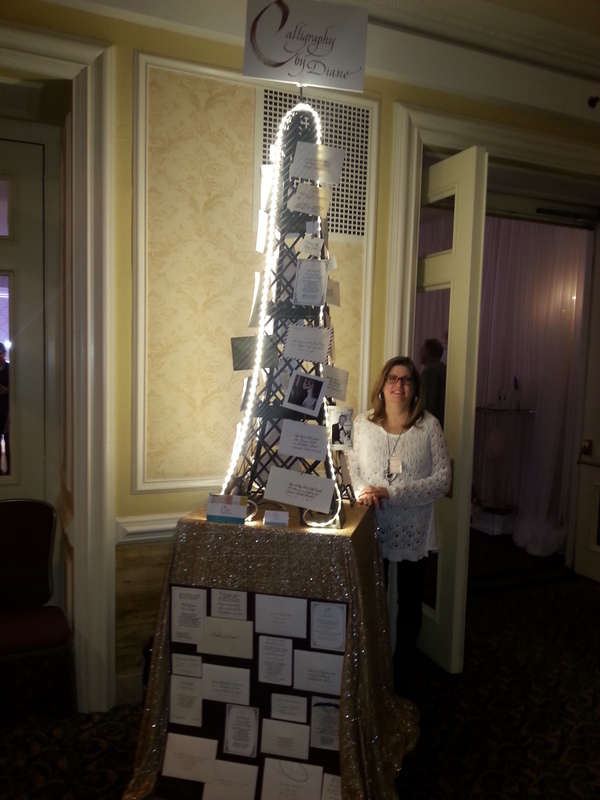 I appreciate all the wonderful compliments by both wedding colleagues and brides at my Eiffel Tower display of calligraphy wedding samples. Happy New Year to everyone!! May 2014 bring much happiness, good health and prosperity! I look forward to meeting and servicing you for your upcoming special day this year! Hand done calligraphy does make your special day that much more unique, personal and definitely sets the tone for your wedding! 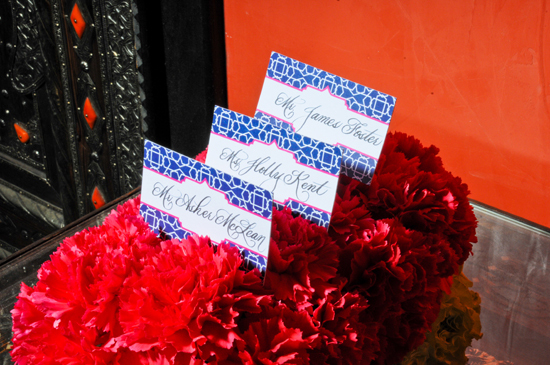 It is the first opener that your guests receive when they receive your wedding invitations done beautifully by hand enclosed in hand addressed envelopes. 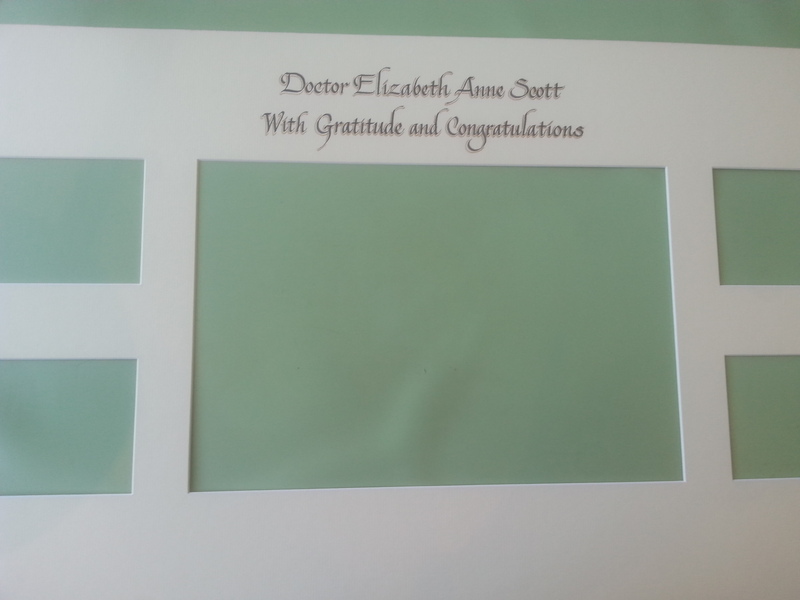 Contact me at diane@calligraphybydiane.com for your wedding consultation.